4k00:14Close Up Shot Of Uncooked Meat With Pepper Rosmarinus And Pepper. 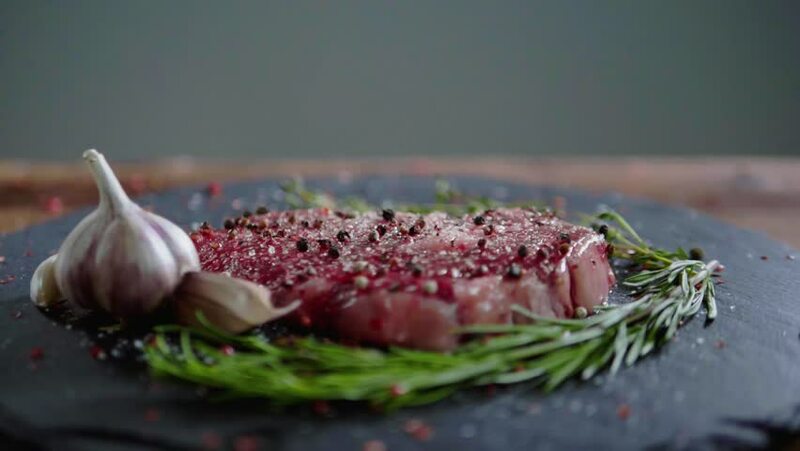 Camera panning over a close-up view of uncooked steak with seasonings on a black table. 4k00:14Step by step. Grilling New York strip steak on outdoor gas grill. 4k00:09Fresh Beef Meat On The Black Table. The camera is slowly moving in a clockwise direction over a close-up view of raw meat with seasonings on a black table. 4k00:07Beef sirloin steak. Meat with rosemary close up. 4k00:11Sirloin steak close up. Meat, rosemary and chili pepper.